Masa Harina or Organic Corn Flour goes back thousands of years to the Mayans, Incas, and the Aztec cultures of the New World. And organic corn flour is very healthy and large populations of the world based their nutrition on this food. Full of antioxidants, good fatty acids, lots of probiotic building fiber, good protein, prevents macular degeneration, lowers blood pressure, lowers blood sugar, and stops viruses. 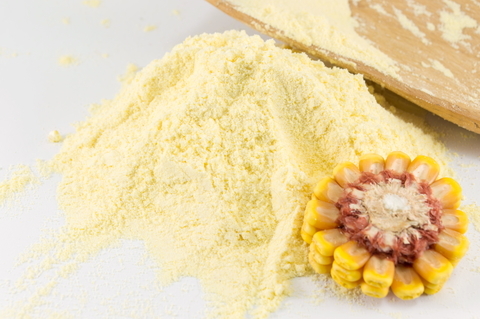 Corn flour is low in calories, gluten free, cholesterol free, contains B-Vitamins, full of great energy for hard-working people, lots of iron, calcium, and it’s easy to digest. Plus it also contains zinc, potassium, and magnesium and much more. This entry was posted in Healing Herbs, The Relaxed Soul and tagged A Super Food, Amazing Health Benefits of Organic Corn Flour, And organic corn flour is very healthy, and stops viruses, and the Aztec cultures of the New World, Dr. Paul Haider, Full of Antioxidants, good fatty acids, Good Protein, Having a Great Life, Healing, Health, HH, Incas, lots of probiotic building fiber, lowers blood pressure, Lowers Blood Sugar, Master Herbalist, Mayans, Paul Haider, Photo, Prevents Macular Degeneration, spiritual teacher, that Goes Back Thousands of Years, USA, Video. Bookmark the permalink. Thank you for this information, Dr. Haider! I’ll take note of this.